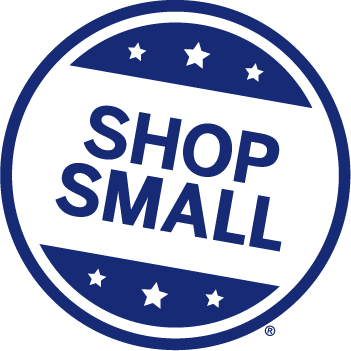 This year, Small Business Saturday falls on November 29th (the day after Black Friday), and I wanted to make sure to give my customers a reason to participate in this important event. So I’m having a sale! For every $100 spent at locally owned businesses, $73 will stay in the local economy, versus only $43 if spent at a national chain. Small businesses rely heavily on sales during the holiday season to fund their business throughout the rest of the year. Flourishing small businesses donate far more to local non-profit organizations than chain businesses (up to 250% more!). Small businesses create seven of every ten new jobs. And the best one, in my opinion: You don’t have to go to any big box stores and risk getting trampled to death on Black Friday! Free gift wrapping on 3-bar gift sets. Bars will come in the box you see pictured, with a pretty ribbon and gift tag. Gift sets will be reduced to $18 with code GIFTW3 (regular price for 3 bars). Using coupon code FREESHIP40 at checkout for free shipping on your order of $40 or more. Cannot be combined with other discounts. I have 14 Shop Small tote bags and misc. other Shop Small merchandise items to give away for FREE during this sale. While supplies last! Shop Now! And make sure to check back Thanksgiving day to take advantage of these great deals! Previous postCan Sodium Lactate Reduce Drag in a Lotion Base?